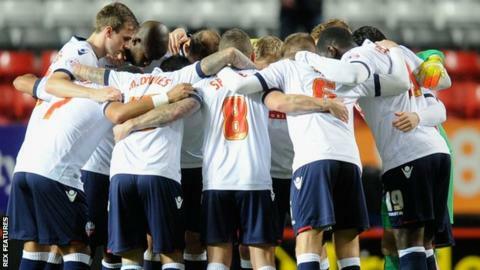 Financially-troubled Bolton Wanderers could sell players to raise funds this month, admits boss Neil Lennon. The Championship's bottom side are £172.9m in debt, received a winding-up petition last month and have paid their players and staff late. Owner Eddie Davies will not invest more money while the club is for sale and advisor Trevor Birch talks to buyers. Asked whether players will leave, Lennon told BBC Radio Manchester: "I hope not, but that may be the reality." The 44-year-old added: "Trevor's already stated that might be the case, but we'll just have to wait and see. "It makes a difficult job more difficult, but that's something I can't really touch on." The former Celtic manager was also asked if he will have any say on the players leaving and he replied: "Maybe some sort of input but, again, ultimately it probably won't be my decision, it will be the people that are looking after the future of the club." Bolton are also under a transfer embargo for the rest of the season after failing to submit their required accounts for the 2014-15 season.